We all remember Wayne Rooney having his hair transplant, opinions were divided, some said just "man up" and go bald whilst others supported him 100% and said good for him. It is just the way it goes, some men lose their hair when they are young, and others keep it even into their old age. It is partly down to luck and a lot down to genetics. 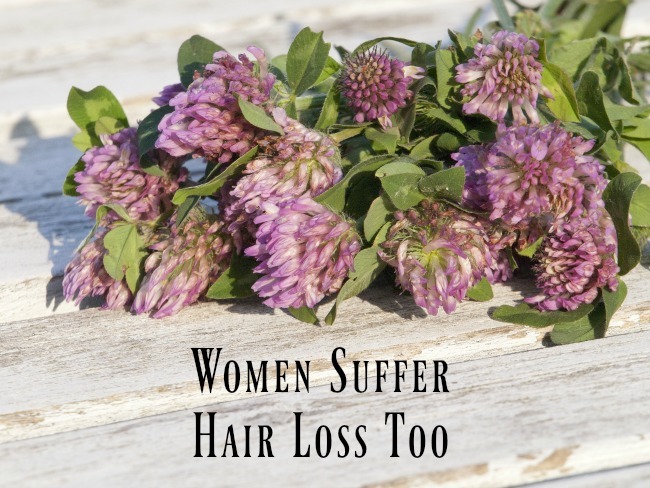 Surprisingly women suffer hair loss too, I think it is worse for women as it is socially less acceptable to be female and bald or to have thinning hair. If a bald man walked past I probably wouldn't even notice, but I would if it was a bald woman. Hair loss can lead to lack of confidence and ultimately may stop women from leaving their home. I know I feel and look so much better when my hair is looking good. I love it most when I have been to the hairdressers and had my hair cut and restyled. Sadly it is now mostly grey and hidden under gallons of dye but a good hair cut makes all the difference. I am lucky, my hair has always been very thick, in fact when I was younger I used to go to the hairdressers just to have it thinned. After I had children it seemed thinner, and definitely shed more. Hair was everywhere but as I had so much it wasn't too noticeable. Then along came the menopause and more and more fell out. It is still OK and doesn't look thin but I know it is a lot thinner. If I had started with fine hair then I would certainly be showing signs of baldness. There are many reasons why women suffer hair loss, pregnancy, stress, chemotherapy and the menopause. For some the hair will grow back, others may lose it all permanently. 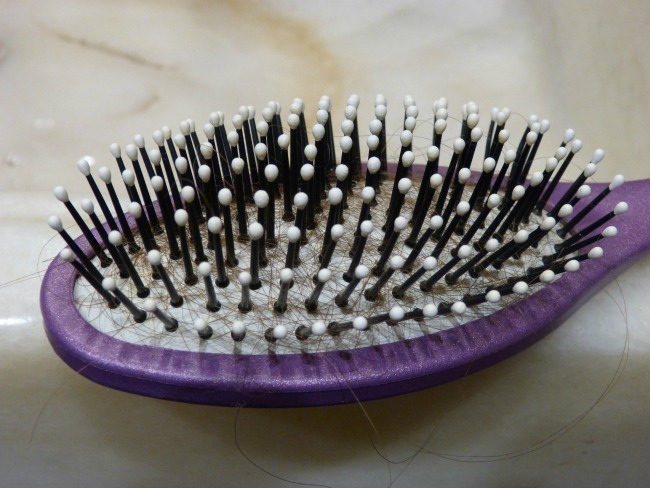 The most common in women is female pattern hair loss. This is thought to be mostly genetic and hormone related. According to the NHS website it can start any time after puberty and can be triggered by pregnancy and most commonly, the menopause. It is estimated that 50% of women over 65 suffer from it. Female pattern hair loss causes women to have patches of thinner hair usually on the top of the head. It is caused by the hair follicles ceasing to work properly. First there is excess shedding of hair, then individual hairs becoming thinner until finally the follicles stop producing hair altogether. Some women are able to embrace it, they have their hair cut short and never appear to be stressed by it. Others need help. I actually welcome some hair loss, not on my head of course but the menopause does reduce the amount of hair on my legs and under my arms, which means I shave less often and it grows much slower. I do not take anything for my menopause symptoms. I tried all the over the counter remedies; Soya, Black Cohosh, Red Clover and St Johns Wort to name a few. None worked for me. 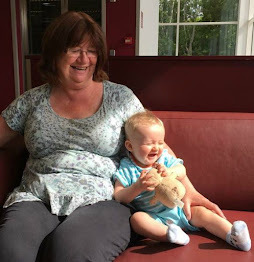 When I started the menopause, HRT replacement therapy was not recommended. There had been a lot of research that said the risks (especially breast cancer) out weighed the benefits. I think opinion is now changing again and HRT is back on the agenda. Hair loss can affect your mental health too, if you are suffering please visit your doctor before you try any treatments. New treatments are being made available all the time, from medication or lotions to hair transplants. Although Wayne Rooney proved that hair transplants work, not everyone would want to have surgery. I know I would look for alternatives, maybe wigs or weaves. One procedure that is available is called Advanced Tricho Pigmentation Treatment. This works in a similar way to a tattoo. Natural pigments are applied to the scalp (or brow area) to replicate each individual hair. This works really well with thinning hair giving the appearance of thicker and fuller hair. It is certainly something I would look into and is not just for men, women suffer hair loss too. I lost a lot of hair after giving birth to my first daughter and breastfeeding her - I now have a lot of baby hairs! Luckily it does grow back! It's amazing what a good haircut can do, isn't it? I've also seen really incredible work done with hair extensions. Sadly, it does seem that women have a harder time with hair loss than men. My family have always had a lot of thick hair, so I've never realised that this happens to women too. It's nice to know there are options out there to help as I can imagine I would struggle with confidence if I lost my hair. I think it is amazing the various options that are available now for ladies suffering hair loss, most of which are extremely realistic if applied properly. I have really thin hair. After I had my sons, I lost quite a bit of it but luckily it grew back. I suffered hair loss after I gave birth, no one ever told me that this can happen after child birth, just wish their was more awareness, but glad I found your post. Thank you for sharing these useful tips. Men and women including kids do lose their hair. I know a little girl who lost all hair a few years back. Although her parents were given the option of a surgery, they went for a weave instead.